Take a full system snapshot quickly and easily with the JL3KH6 Charge and Air Test Kit. 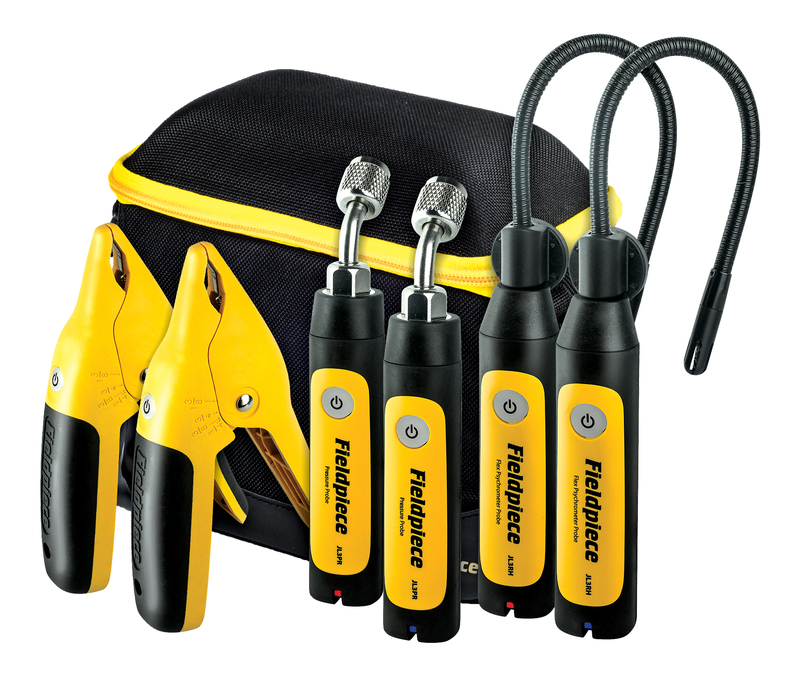 This kit consists of 2 pressure probes, 2 pipe clamps, and 2 psychrometers in a quick access padded case. All measurements can be sent up to 350Ã­ away directly to your mobile device with the Job Link app. Each tool is designed for agility and speed. The pressure probes fit into tight spaces. 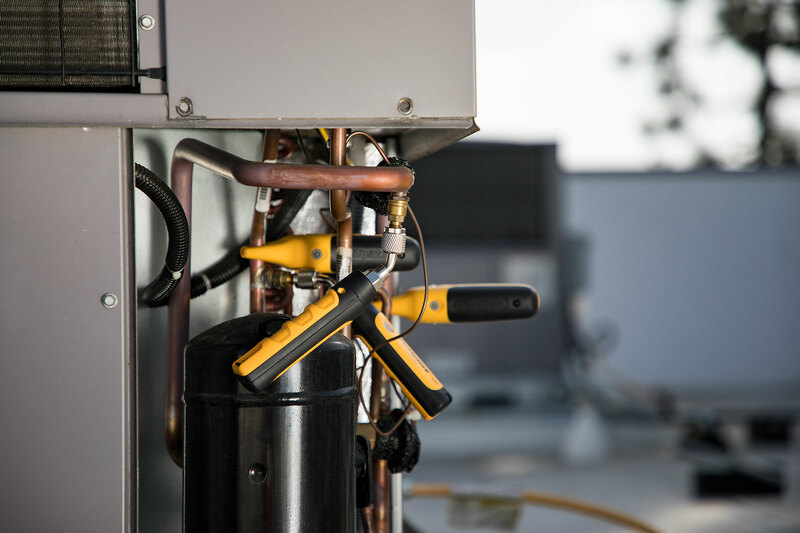 The pipe clamps use the new Rapid RailÃ´ sensor design delivering accuracy, speed, and agility, even on the most awkward pipe configurations. The psychrometersÃ­ flexible narrow probes and configurable magnet make it easy to measure supply plenums, ducts, and elevated registers. Do more with JobLink smart probes! Directly connects to mobile device with Job Link System App. iOS and Android compatible. Q: Does this set of probes work with Measure Quick app? This JobLink Kit does indeed work with MeasureQUICK. 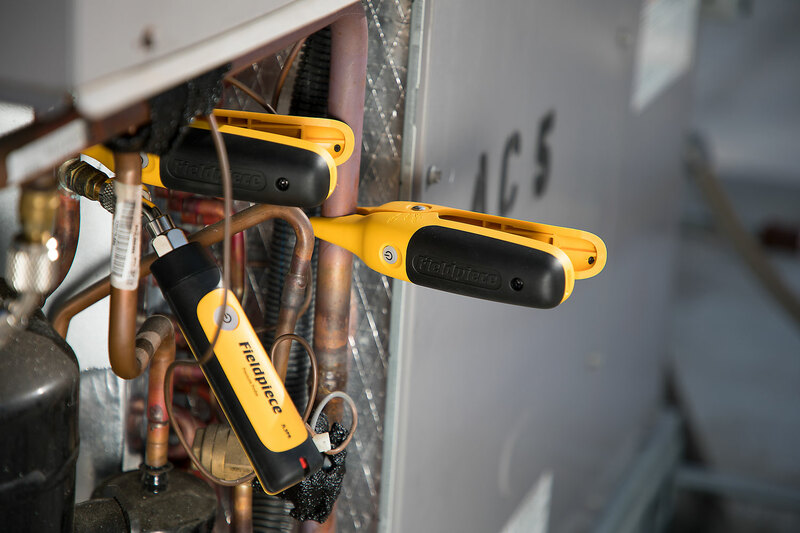 MeasureQUICK and Fieldpiece Job Link probes started working together around September 2018. Q: Do these gauges give you troubling?,does it tells you what's wrong with the system,and how to fix it? There is a troubleshooting feature within the app, but it doesn't really tell you exactly how to fix the issue. The troubleshooting portion will give you suggestions as to why you might be seeing a particular issue, i.e. high pressure low superheat. The JobLink Kit has a 1 year warranty good from the day the kit was purchased. If you have any questions regarding the warranty status of your product, please call Fieldpiece directly at 714-634-1844. Pipe Compatibility: Electrically conductive 1/4Ã® to 1 3/8Ã® (6.4mm to 34.9mm) dia.